Our youngest campers getting to know each other in their morning circle. 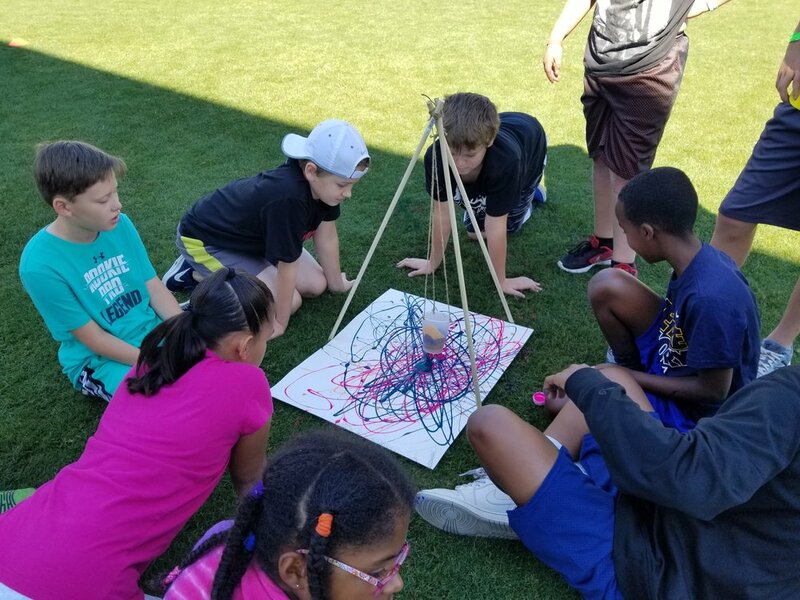 Campers will have the opportunity to participate in cartoon drawing, perler beads, create oobleck, kite design/flying, painting with gravity or their feet, and a myriad of other creative pursuits. Following snack time, campers head off to the indoor swimming pool! All pool activities are well-staffed with experienced and certified lifeguards. Pool noddles are provided but, campers are welcome to bring life jackets. Additionally, on Friday's we soak up some sun in the outdoor pool and enjoy water games. 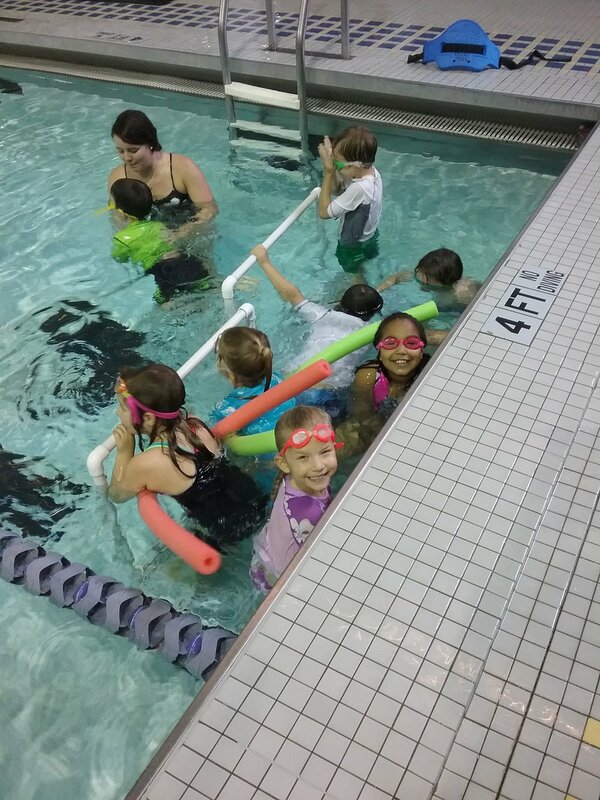 On each child's first day we have a swim test (typically on Monday). All campers will participate during the free swim period and those signed up for lessons will have additional time in the pool for their lesson. Basic & advanced swim instruction is available for a nominal fee. Don’t forget to pack a suit and towel every day! Afternoon adventures kick off after a one hour lunch break. Engage in exciting new activities like creating a Jacob's Ladder, build a robot, make a bouncy ball, and other engaging activities. At BYGS (pronounced bigs) we channel our inner athlete by challenging our camp mates to engaging games of sports and activities. Crab Soccer, Flag Football, Kickball, T-Ball, Water Balloon games, and Quidditch just to name a few. Most times the kids make the rules and we follow along. It's all about play, having fun, score, improve skills, make friends, share laughs with the team, grow your confidence. Learn and grow through play. Campers will have the opportunity to try new activities, concentrate on their favorite ones or enhance their existing skills by participating in individualized instruction or clinics. Field trips and special guests are featured on special dates like our STEAM and LET'S DANCE CLASS. 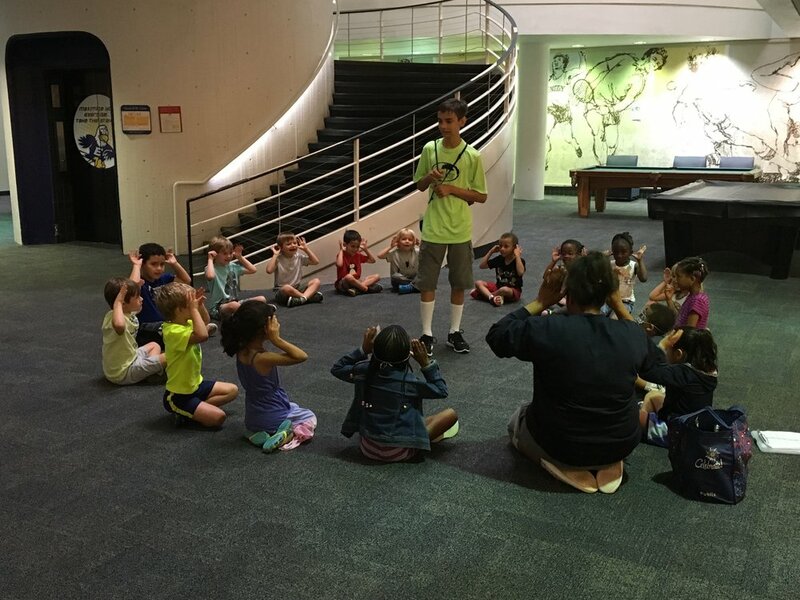 Otherwise campers choose from activities like nature walks, dance, indoor games, puzzle master, brain teaser games, drawing, jewelry making, extreme paper airplanes, and much more!